"The experience of knowing Jesus enriches our hearts and lives completely. 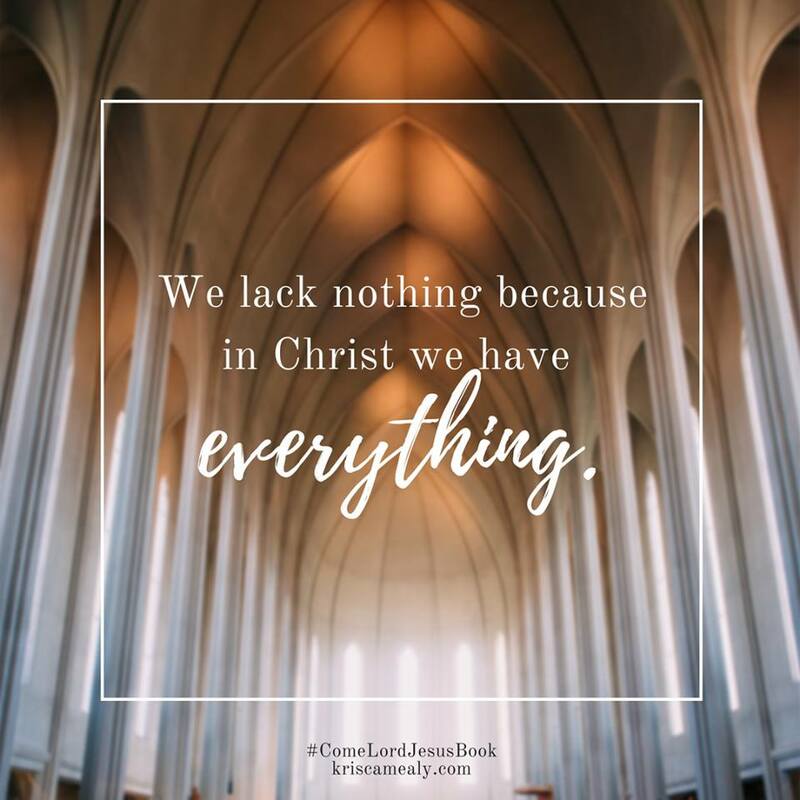 In Him, we lack nothing. In this season of want, as we await His coming, we remember that our lives are rich with grace because of Christ, who did come, who lived among the people, who lives among us still. He makes His home in the hearts of those who love Him, however imperfectly we may live that out. 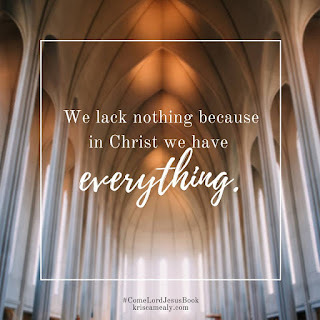 We lack nothing because in Christ we have everything. 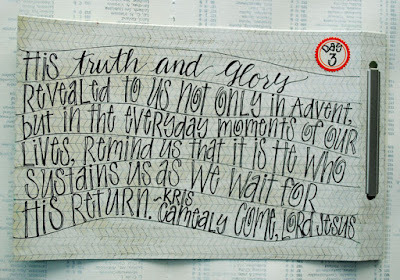 His truth and glory revealed to us not only in Advent, but in the everyday moments of our lives, remind us that it is He who sustains us as we wait for His return." 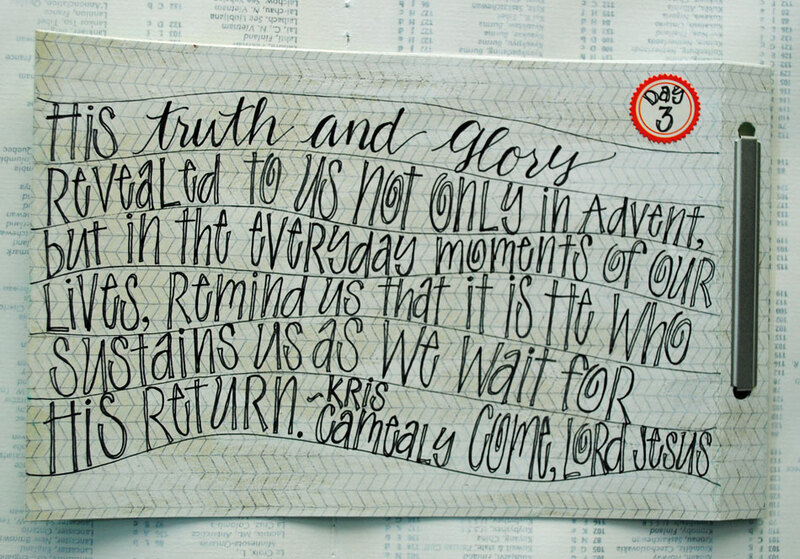 Kris Camealy, Come, Lord Jesus, p16.